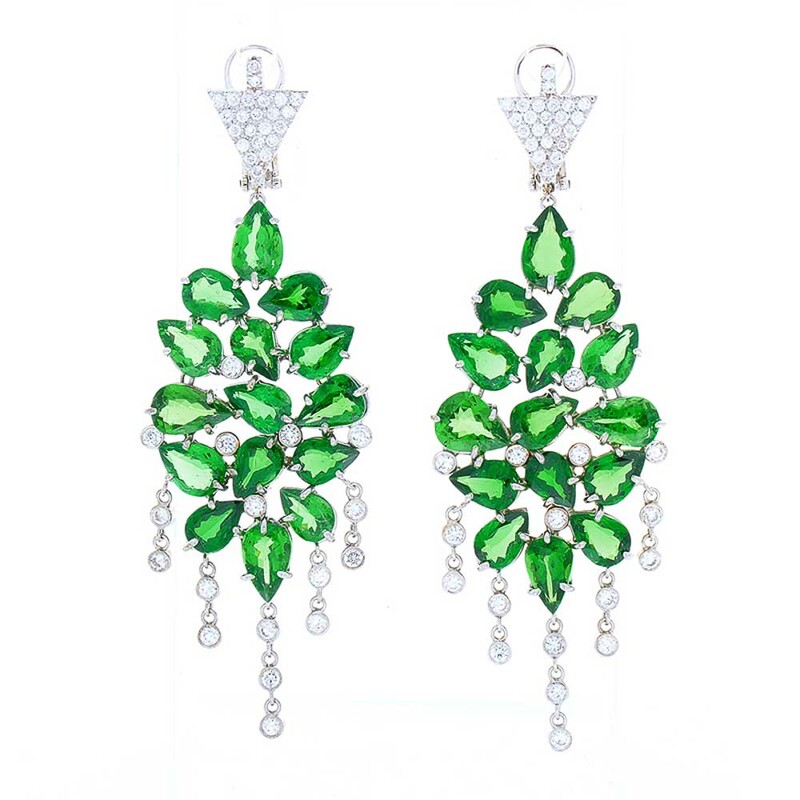 30 pear-shaped vibrant tsavorite garnets adorn these incredible chandelier earrings totaling 21.53 carats in prong settings. The tsavorite garnets are sourced from Tanzania. The color is intense green; its luster and transparency is excellent. 80 sparkling round brilliant cut diamonds are bezel set in dazzling drips and encrusted on the top geometric patterns totaling 1.14 carats. Designed in brightly polished 18 K white gold, these show-stopping earrings are held on securely with omega backs for your convenience. These earrings are bold and design-forward.